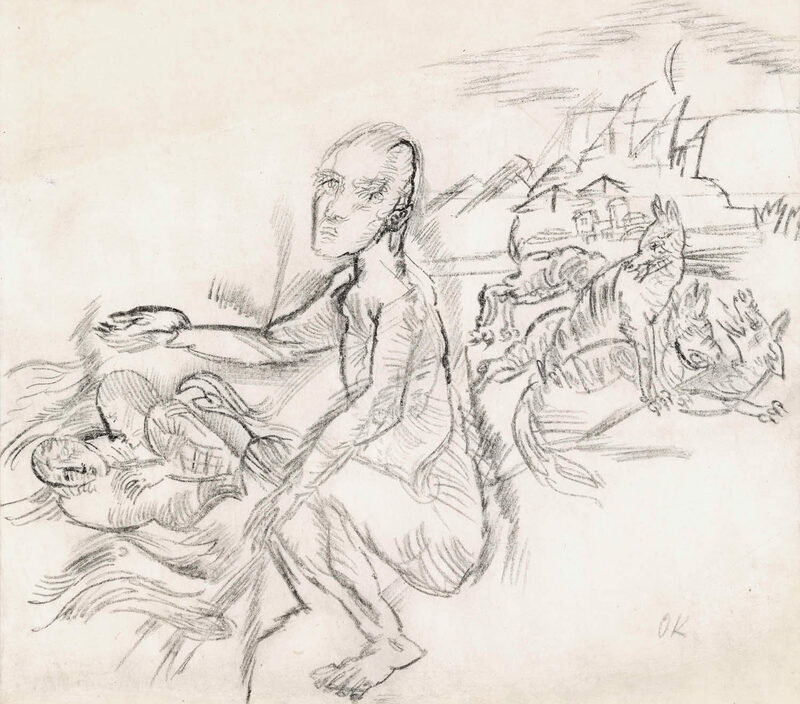 Today Oskar Kokoschka ranks among the most eminent artists of the twentieth century. He was not only a master of oil painting, but also created a very personal and extremely extensive oeuvre in the fields of drawing, watercolor and graphic art. 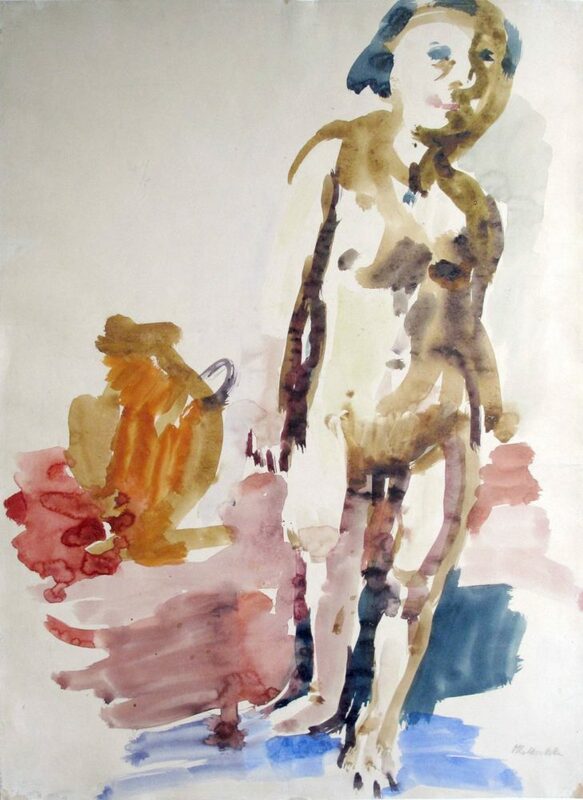 What is particularly fascinating about his works on paper is the immediacy with which he realized his often bold ideas. His ubiquitous creative work, however, never lost touch with life and reality. Kokoschka was an offender from the very beginning. The Viennese scandals surrounding his exhibitions and the performances of his early Dadaist dramas show that he had his finger on the pulse of the times. He always painted the way he wanted or could, without submitting himself to contemporary taste or the dictates of society. He was innovative, dissident and inconvenient. He had the ability to see the innermost being, the soul of the depicted, and to convey this image to the viewer in the form of drawings and paintings. 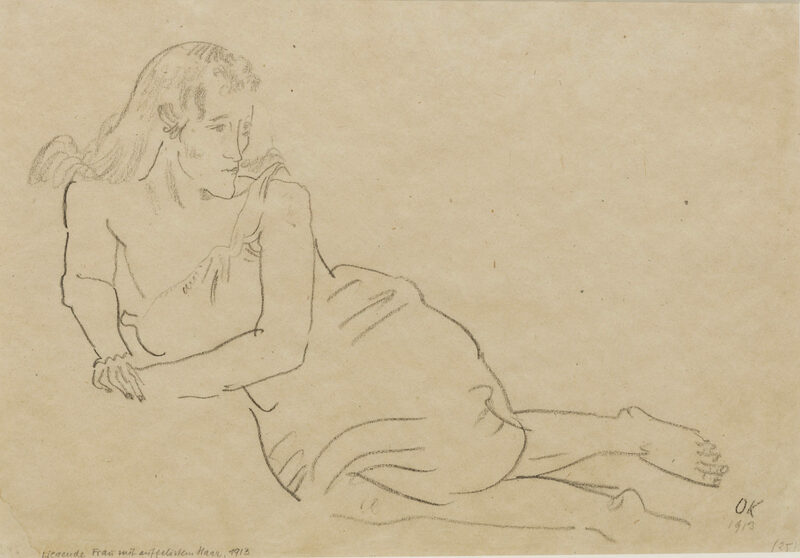 In this sense, the “School of Seeing,” which Kokoschka founded, is not only intended for art students but also for attentive viewers, as his works open their senses and sensitize them to the diversity of life. He was a master of seeing and a confident virtuoso of depiction.